This article will go over how to find the transactions for your monthly fee for your CaterZen Account. 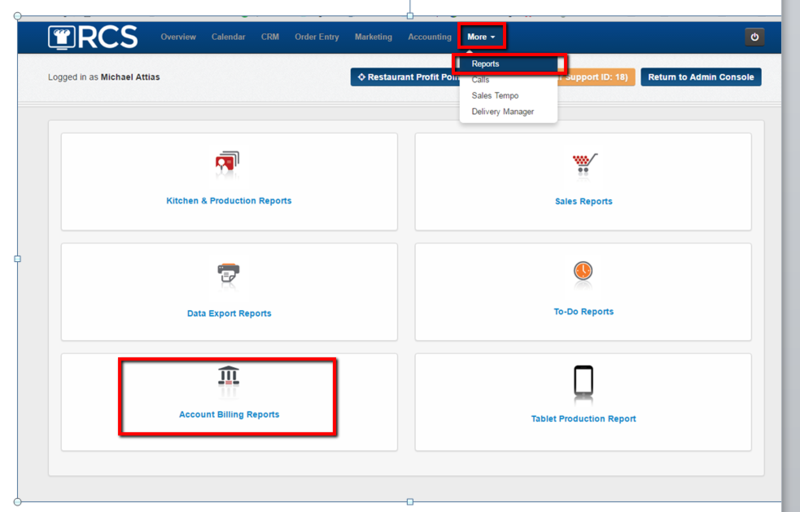 1 - Click on the More tab and then click on the Reports link and choose the Account Billing Reports tab. 2 - Once you click on the Account Billing Reports you will see two links. The first link is the Past Billing Transactions link. 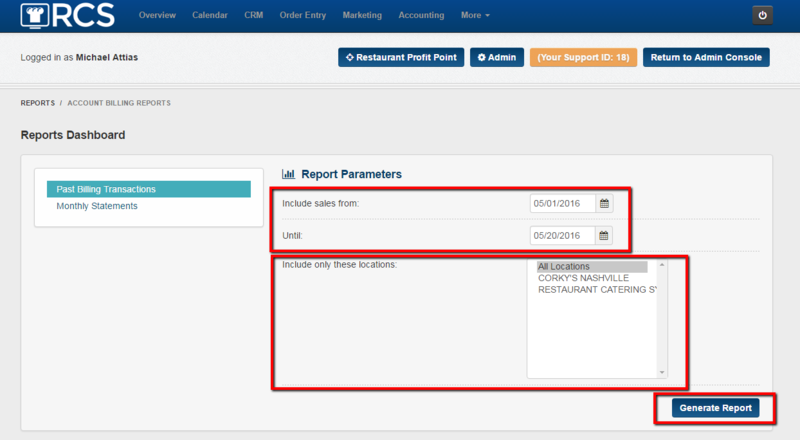 3 - Choose the Date Range of transactions that you want to review (if you have multiple locations you can choose the location as well) and then click on Generate Report. 4 - The report will then download as an Excel file or you can Email it. 5 - This is an example of what the report will look like in the excel file. You have now pulled a report for your past monthly fee transactions for your CaterZen account. Please note that we do not send monthly invoices for your monthly fee. You will receive an email saying that the fee was ran. If you are looking for more of an invoice look to the monthly fee charge please see the Monthly Statements article.